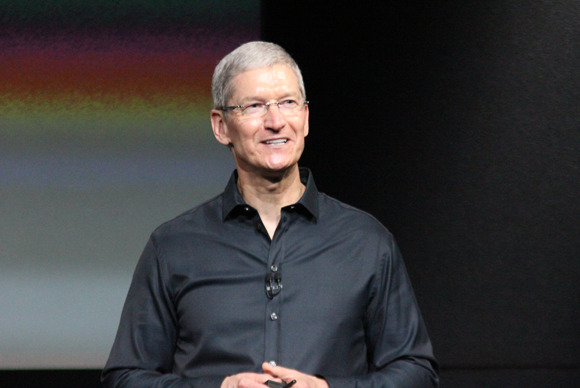 Apple is clearly happy with CEO Tim Cook’s performance, as his compensation keeps going up and up and up. In 2014, his pay package was valued at $9.22 million, more than double what the company offered him in 2013. Cook’s actual salary was $1.75 million last year, but he also took in $6.7 million in non-equity incentive pay, according to a Thursday filing with the U.S. Securities and Exchange Commission. In 2013, Cook made $4.25 million. But it was retail chief Angela Ahrendts who made the most of any Apple executive in the last fiscal year. The company recruited Ahrendts from luxury retailer Burberry in May and paid her to relocate from the United Kingdom to the States. Apple gave the exec $70 million in stock grants in the last fiscal year, $37 million of which was compensation for Burberry stock she gave up to take the Apple job. Ahrendts’ annual salary is $1 million. Cook has been criticized for lacking Steve Jobs’s spark, but Jobs’s hand-picked successor has managed to push Apple to new financial heights. The company turned a $39.5 billion profit in fiscal year 2014, which doesn’t even include holiday 2014 sales (Apple’s fiscal ended in late September). The company also revealed a pair of big new iPhones that have sold out all over the world, introduced Apple Pay, and is gearing up to launch the Apple Watch this spring. But all that success doesn’t leave a CEO much time to take breaks. 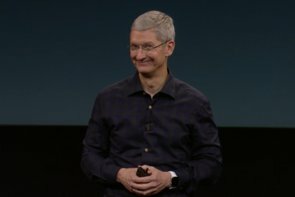 Bloomberg noted that Apple paid Cook $56,923 for unused vacation days in 2014, much more than the $35,000 he received in 2013. The same day Apple disclosed its compensation details, the company announced it would need to find a new board member: J. Crew CEO Mickey Drexler is retiring from Apple’s Board of Directors in March. Drexler played a key role in the build-out of Apple’s wildly successful retail expansion, but now that Ahrendts is on board, perhaps he felt it was time to move on. Apple hasn’t yet indicated who will fill Drexler’s spot. The company did add a new retail hire as it gears up for Apple Watch: Chester Chipperfield, former vice president of digital and interactive design at Burberry. It's not clear exactly what role Chipperfield will play.